Providien Machining & Metals is a leader in precision medical machining. We specialize in electromechanical assemblies, NPI management, and precision miniature bearings. We have expertise and experience in precision machining and mechanical assemblies. This allows us to provide fast and economical turnkey solutions for medical device leaders. Providien’s facility is both ISO 9001 as well as ISO 13485 certified. Providien specializes in tight-tolerance machining, which separates us from others in this space. We developed this proficiency as a function of our precision bearing expertise. Our precision machined parts must meet the tight tolerance requirements of our bearings and our mechanical assembly. All of this in support of the medical device industry. Providien has implemented a manufacturing and quality system. We devote these systems to meeting the tightest of our customers’ specifications. All members of our control teams are dedicated to exacting our customers’ requirements. Providien Machining & Metals has long been a leader in the precision bearings industry. We supply over 2 million Dynaroll bearings annually. Our Dynaroll division assembles bearings to the highest industry standards. These facilities are located in Sylmar, CA, and Wuxi, China. Our facilities located in Japan, Thailand, and Malaysia produce miniature bearings. Founded in 1988, Dynaroll has grown to become one of the largest suppliers of miniature precision bearings. Dynaroll supplies to the medical, aerospace, automotive and other industries. Any material with detailed parts requires precision machining. It produces a large number of detailed products. 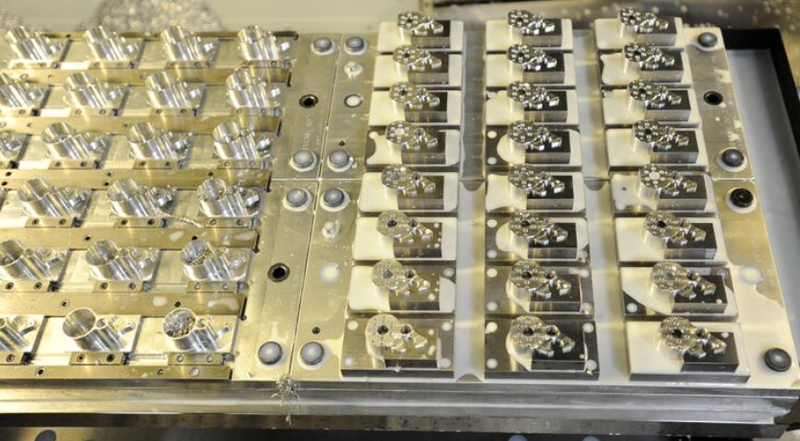 Careful machining reaches every industry requiring precision assembly. From aircraft parts to tools used in hospitals, our services help any business. Calibration of complex machines also requires detailed machining. Providien’s precision machinists provide quality work. Following intricate blueprints is essential to quality precisionness. Various programs create these blueprints such as CAD, CAM, and AutoCAD. Each of these options are computer-aided software. Some machinists still use hand-drawn blueprints. Such blueprints aid by providing detailed instruction for each step. Providien Medical offers various services with precision machining and metals. We are experts in each service and happy to provide any service to any client. Our miniature precision bearings are ball bearings used in any moving part. Bearings are developed to handle radial and axial loads. The loads transfer between outer and inner races by the small balls inside. We build our precision bearings with the highest levels of accuracy. Our products typically see use in applications with low torque and accurate rotation performance. Load capacity is a secondary issue with these projects. Our strengths are in precision tolerances, quality materials, proprietary designs and the highest industry reliability. Torque testing reveals detailed information of the internal structure of rotating components. Our M15W-N is the fourth generation MicroTorque™ tester from Providien. The tester combines traditional linear load cell technology with new torsional load cell abilities. These capacities come from an updated Windows software. Inherently low noise level allows analytical torque measurements as low as 0.001 gm-cm (0.000014 oz-in). Flexible zoom, crosshair measurement, overlay and multiple-window features allow quick visual inspection of torque features. Program any speed up to 6 RPM, as low as 0.001 RPM for rotation profiles. Digital analysis of test data allows the user to set pass/fail criteria for most important torque functions. 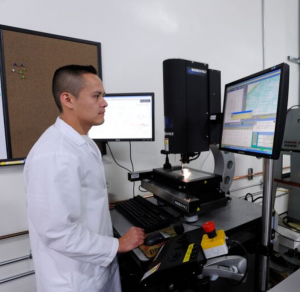 Coordinate measuring machines inspect systems to ensure our products meet customer specifications. Coordinate measuring machines use touch probes. These probes to eliminate error-prone manual measurements. This helps on components with complex geometries. Coordinate measuring machines produce faster analysis. They automate documentation of measurement data. 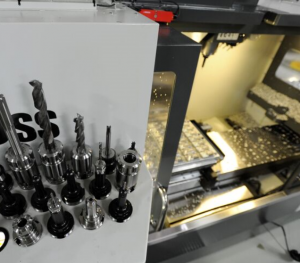 Precision metal machining uses Zeiss Contura G2 as well as SeeBrez, LK, Helmel and ROI coordinate measuring machines.